RAJA WAIDYASEKERA Tissamaharama special corr. Due to the wind power plant in Hambantota being defunct for several years, three mega watts of electricity that was added to the national grid had been lost, while the authorities concerned have not taken steps to restore it so far. 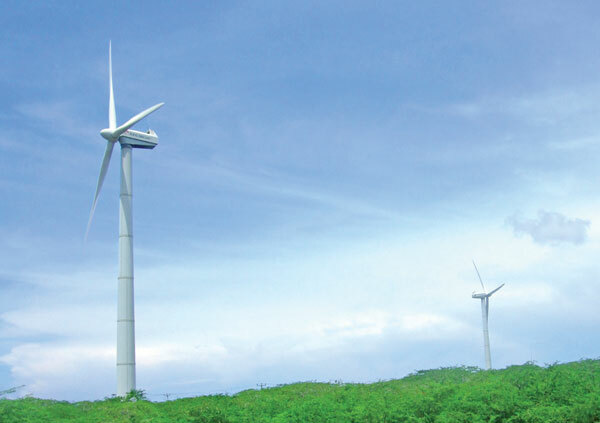 The wind power project was setup at Karagamlevaya in Hambantota about thirty years ago, as a pilot project and it now comes under the Hambantota sea port area. When queried about the plight of the wind power plant, Engineer Suriyakumara Hettiarachchi said that the wind power project is to be relocated elsewhere. The Hambantota Wind Farm is the first wind farm to be commissioned in Sri Lanka and the only CEB-owned wind power plant.